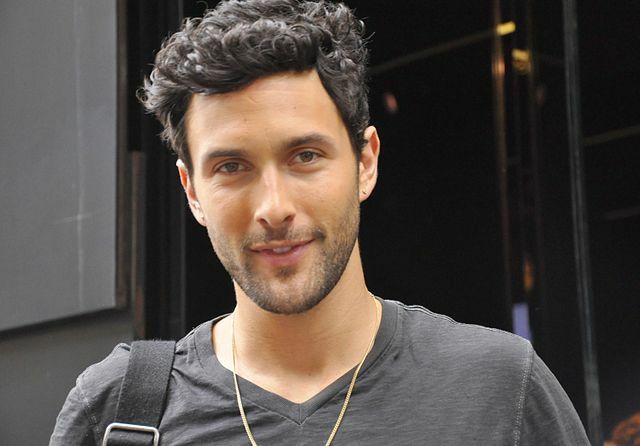 Noah Mills was born in Toronto, Ontario, Canada, on April 26, 1983, is a Canadian male model and actor. Mills began his modeling career at the age of twenty, while he was studying at a university in Vancouver, British Columbia in 2003. He made his catwalk debut for Gucci and Yves Saint Laurent in Milan and Paris in 2004. Long time highly ranked on The Money Guys and Supers Men List by models.com. Featured in music video for Taylor Swift "We Are Never Ever Getting Back Together" (2012). He made his big screen debut in comedy drama romance film S*x and the City 2 (2010) in role as Nicky. Love, Details Cover, L'Officiel Hommes Middle East, Man of the World, L'Optimum, Town & Country, Slurp Cover, Harper's Bazaar UK, DSECTION, El Libro Amarillo, Out Magazine, GQ Style Mexico Cover, Men's Health Spain Cover, August Man Malaysia Cover, GQ Italia, Apollo Magazine Cover, Esquire Spain, BMM Magazine Cover, GQ Taiwan, GQ Style Germany Cover, GQ Style Russia Cover, V Magazine, GQ Magazine U.S..
Revlon, Michael Kors, Calzedonia, Diane von Furstenberg, Beymen, H&M Holiday, Gap, Vince, Neiman Marcus, Dolce & Gabbana, Macy's, Lancôme, Jones New York, Esprit, Carlo Pazolini, Banana Republic, Tommy Hilfiger, Lacoste, Mango, Ports 1961, Salvatore Ferragamo, Lucky Brand Jeans. Walked runway for Bottega Veneta, Dolce & Gabbana, Michael Bastian, Viktor & Rolf, amfAR, Iceberg. Represented by agencies Wilhelmina New York, Why Not Model Management Milan Louisa Models Munich, nest model management Berlin. I've always had an interest in acting. With modeling, there's a lot of downtime, so I started taking classes. In the last two years, though, I've gotten more serious about it. I co-star in an independent film, called Happy New Year. It's about soldiers coming back from Iraq with post-traumatic stress disorder. It's a very different film. I love to play basketball, there’s never a dull moment on a New York City basketball court in summertime. I have my integrity and my boundaries aren’t going to get crossed, but I have no problem shooting a clothes-less scene if that’s what people want to see.